Earlier this week, I shared how we created an inviting entryway with Loma Living products. Some of you may have noticed this gorgeous background, which we are now revealing! Isn’t it fabulous? I wanted a wallpaper with a beautiful, bold print for our basement entryway, but I couldn’t find exactly what I wanted. 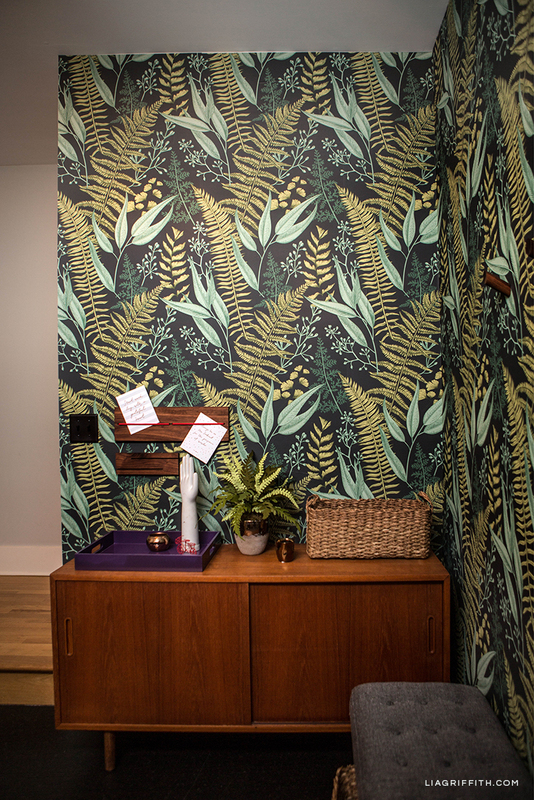 So I designed this fern wallpaper, and we all love how it looks in this space! Since ferns are my favorite plant, and we can’t get enough greenery around here, this wallpaper is perfect for us. 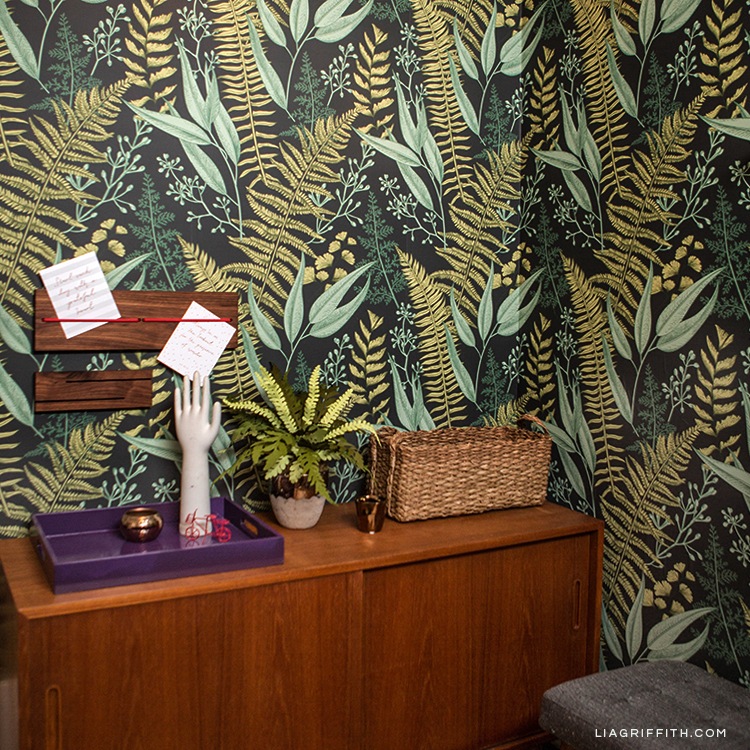 As you can see in the picture below, I even put our recently made crepe paper fern plant in front of the fern wallpaper. Another thing I like about this wallpaper is that it’s removable! If you can’t commit to a paint color, or you love wallpaper but think it’s too much of a hassle, removable wallpaper is a great alternative. It’s also an easy way to try out a fun print or switch up the look of your room. If you’re renting and aren’t allowed to paint the walls, removable wallpaper is one option your landlord may be okay with! What do you think? Does this change your mind about wallpaper? Or have you always been into it? Let us know in the comments! 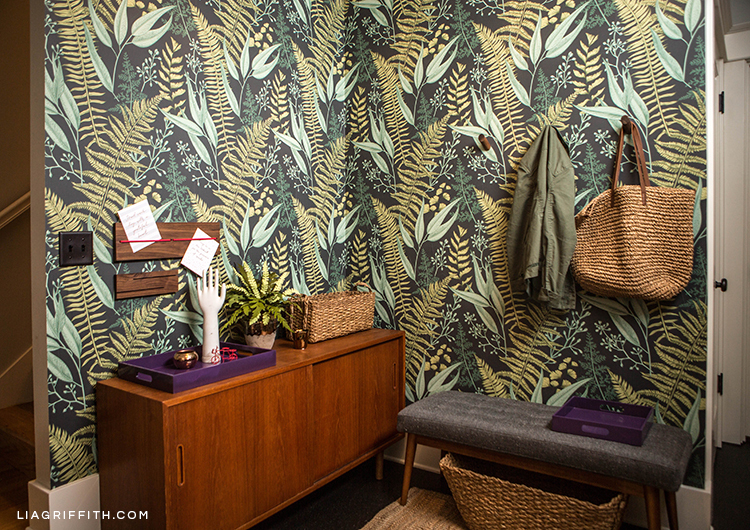 If you want to try out our fern wallpaper on one of your walls, you can find it over at Spoonflower. Join other members in our crafting community and gain access to our vast library of projects, including printable patterns, SVG cut files, and easy-to-follow tutorials. To see the full list of perks for monthly and annual members, make sure to check out our membership page. You can also follow us on Instagram, Pinterest, Facebook, and YouTube for more crafting tips and DIY ideas.